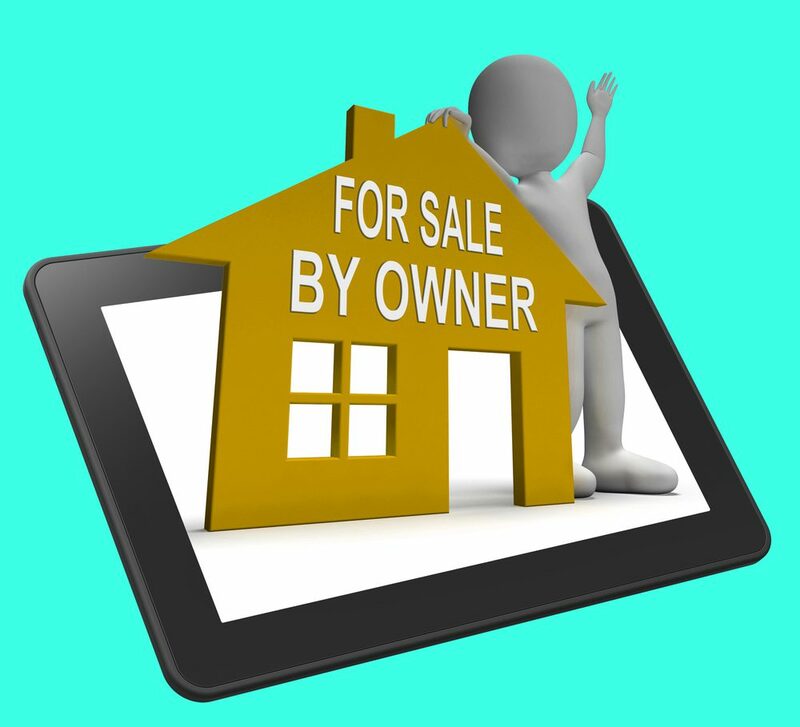 A “ForSale By Owner” real estate listing is when the homeowner attempts to sell their home without a real estate agent. Saving money when selling a home is a powerful incentive for some who believe selling their own home is a beneficial way to cut corners. Yet instead of contacting your local Las Vegas real estate office, you put out signs and wait for offers. You could be doing yourself a considerable disservice in the process. According to U.S. National Association for Realtors, for-sale-by-owner transactions typically result in a considerable cut in price–as much as 28% less than what may have been made by contacting a Realtor®, for example. Saving a little bit on the real estate commission, therefore, is appearing to cost thousands in the actual sale price. Why do homes listed by real estate agents generate more at sale time? One reason that agents may get those increased prices is that they have immense access to current data involving the housing market and also accurate appraisal tools for assessing the home’s value. While homeowners may do some market research such as checking local asking prices for similar style homes, they aren’t likely to have the same type of access to those rich databanks that realtors can tap into for a myriad of useful information. Without this information, the statistics demonstrate that many homeowners just aren’t asking enough for their property. Of course, if they don’t ask for it, they won’t get it. Nevertheless, the opposite is also true. Some homeowners ask a far greater price than their home and property may be worth in this housing market. Your real estate agent has plenty of tools that they can share with the homeowner to advise them about pricing strategies. Asking too much for a for-sale-by-owner property typically results in a house that sits for a long time on the market and may not sell. When home buyers see the “for sale by homeowner” signs, they invariably expect some type of deal. When one isn’t in sight, they may be tempted to move on quickly. Finally, many real estate agents are excellent marketers. They provide homes with the exposure they need to help generate the quickest possible sale. Yard signs and classified ads in general newspapers may not be enough to produce a steady stream of interested buyers. On the other hand, age use various means to generate interest in a property from the internet and newspapers to Multiple Listing Service (MLS) and word of mouth. Their day-to-day work with home shoppers also provides them with regular opportunity to show listed homes in their area. The fact is that many house sellers are glad to pay their realtor’s commission. They have the tools to effectively market the home and the skill to manage open house dates, visits, home inspections, deal closings, and so much more. If you are thinking of selling your home yourself, you might want to think again and contact a Las Vegas Realtor® such as the team of Lori Ballen at Keller Williams. There are many advantages to selling your own home. Selling your own home can take time and some work but can be well worth it. When there is no agent involved you can ask a lower price which can make your property much more attractive or keep the price the same and make more profit from the sale. In today’s real estate market the advantage of having some leeway in pricing can make the difference between a quick sale or your house staying on the market for longer than is desirable. The process for selling your own home can seem more confusing than it really is. Even if you do the part of finding a buyer and agreeing on price, you will need at least the help of an escrow company to file the final paperwork. Below are some tips for the selling process as well as the typical order of events for a for a house sale by owner in Las Vegas. Since you are selling your home yourself, advertising is totally up to you. While there may be some free websites, you want to cast a large net. The better you market your home, the faster you will find a buyer. Marketing is a big factor in how quickly the home sells. When you are doing it yourself, be prepared for it to take a bit longer to find a buyer. If you are not handy with a camera , grab a friend who is to take some pictures for you or better yet, consider a video of the house and grounds. These graphics can be used in your advertising. The better a job you do of displaying the house via pictures or video, the more likely you are to attract serious potential buyers, not just those that ask simple questions and never call again. If you can’t afford to wait, then a realtor who can dedicate a lot of time to finding a buyer, is a better option for you. While it is possible to sell a home while you are still living in it, this is not always the best idea. It can be very hard to show a home off when it is occupied. Personal possessions can make it harder for a buyer to see this as something that could be their own. In addition it takes awhile to move. If you sell your house, you will have to quickly find somewhere else to live. If you do have to stay in your home while finding a buyer, you might want to store some of your possessions somewhere else so there is less in the house when it is shown. You will at the least have to make an effort to keep the house looking good for potential buyers that might stop by. Some sellers that choose to live in the house during the search for a buyer,will clear out all but a few rooms. The disadvantage of this is that if it takes awhile to find a buyer, you will be sitting in a half empty house and this is not realistic for most families. If you have ever sold anything it is likely you know what it is like to get a ton of inquiries but few serious offers. While it is good that your property has attracted attention, it can be a real time waster when you have to spend time answering questions to those that are not truly serious buyers. Don’t feel like you need to listen any longer than necessary. If someone makes a ridiculously low offer be firm with them about your price so they don’t call again unless they can make a reasonable offer. Many homes that were sold in Las Vegas were bought with cash. While this might seem like a positive thing because you don’t have to wait for the buyer to apply for and secure financing, it could actually hurt the amount of money you receive for your home. Often a buyer that is paying cash will make a lower offer precisely because they are paying you in cash. It can be to your advantage to listen to multiple offers before choosing which buyer you want to sell your house to regardless if they offer cash or not. Needless to say you will need to provide a disclosure document to a buyer before they agree to a final sale. This is very important as some information you are required to disclose by law. This includes the heating and cooling systems and any known issues, zoning restrictions, proximity to gamelands or open range grazing areas, and what is used for water and sewage service. If there are any other known major issues with the house it is best to be completely honest and list them in order to avoid trouble down the road, including a potential lawsuit. Anything at all that you think might be a problem for someone else needs to be listed. Even minor issues are best listed in the disclosure so that the sale offers the buyer total transparency from the start. The property disclosure form for the state of Nevada is available for download through the state of Nevada website. Of further interest is the Nevada Disclosure Guide that has the most detailed information on the disclosure form and can help you fill the form out better. A serious buyer will have thought about how they will pay for a property before they even call you. If the buyer makes an offer, the offer is a binding contract when you accept it. In many cases the offer may be low and you might respond with a counteroffer to which the buyer may respond with another offer. In some cases there may be multiple counter offers to negotiate through. When you are ready to accept you will need to contact your real estate lawyer or escrow company in order to proceed with the financial arrangements. Fully identify both the buyer and seller by their complete legal names. Describe and identify the property to be sold. Signatures of all buyers and sellers. A potential buyer will often hire a home inspector of their choosing to examine the house for any potential problems. This verifies that the disclosure offered to the buyer, did not miss any problems. If anything is found they may ask for a lower price or at least that you hire someone to fix the issues before they agree to proceed with the purchase. Many banks require this inspection before they will extend financing to a buyer. They need to know that the house is worth investing in. In many ways this inspection prevents a lot of hassle further down the road because each party was given an opportunity to look things over. As the seller, it will be up to you to make the final decision about any demands the buyer has. If you are in a hurry to sell the house, it might be better to lower the purchase price enough to pay for the cost of correcting the issue. Of course this depends on the seriousness of the issue. Banks will not finance houses that have some issues so you might not have a choice about paying for repairs before the final sale. You of course have the right to dispute any findings or demands that seem unreasonable. Many buyers do not want to wait any longer than they have to in order to complete their purchase. This is why the quick sale has increased so much in popularity. Some banks are able to help you close on a house in as little as 30 days rather than the standard 60-90 days. It is essential to be clear as to how long this process will take. Of course filing documents is going to be one of the final steps in the closing process. Sellers will use an escrow company to take care of this part of the process for them. This is beneficial because it assures that the paperwork is up to the current law. The final promissory note, all legal documents, and any fees or other costs must be entirely paid for and evidence filed. When an escrow company handles this you don’t have to be present at all for this part of the process. They take care of the final paperwork and make sure a new deed is filed at the county clerk’s office. The new owner is normally given the right to occupy the premises the day the new deed is filed. If you choose to forgo escrow, all documents must be filed at the office of the principal of the sale and with the county clerk in order to file the deed in the name of the new owners. First things first, there are so many different types of people that a home owner has to negotiate with. They will need to negotiate with Las Vegas home buyers, the home buyers’ Las Vegas real estate agents who are representing them, as well as Las Vegas home inspectors and appraisers. One thing to note is that you are dealing with different types of buyers. They automatically know that residents who are selling their home by themselves don’t have a Las Vegas Real Estate agent. Usually this indicates that you are not an expert and may not fully know what you’re doing or what exactly your Las Vegas home is worth. Knowing this, home buyers may try to get you to sell your home for a very low price because they know you are not paying a commission. Another thing to note is that buyers’ agents are looking out for their clients and it is not their job to protect you. You may find yourself in a bit of a predicament if the buyers’ agent does not do the right thing for you in order to get the best deal for his client and for himself. Home Inspectors are usually hired by the buyer. If they find a million things wrong with your home you will have to combat all of your home’s issues. Usually this is something that the Las Vegas listing agent handles for you. The listing agent will discuss with the inspector what should be and shouldn’t be done to the home, what’s cosmetic and what’s a necessity to fix before your home is sold. Appraisers are another person you will have to deal with in the process of selling your Las Vegas home. If you do not have the correct backup documentation that proves the price you are selling your home is the right price, you may be in for a battle. You will want to have all the paperwork necessary ready and be prepared to combat the real estate appraiser if needed. This marketing system is huge. This marketing team manually puts in home information to many different sites, they blog about their home listings and ad keywords which will help you property be easily found by buyers looking for homes in the Las Vegas area. Your agent, such as Lori Ballen Team posts to Facebook and all their Facebook followers see their properties being listed. eFlyers are also being sent out with your home’s information. This marketing team gets your home the exposure it needs to get Las Vegas home buyers interested and your home sold quickly. 28% of buyers are looking at print ads. This is a very low number which means that you definitely need internet exposure more than you would print ads. A third thing to ask is where are the home buyers finding the Las Vegas homes they are purchasing? 43% of Las Vegas home buyers are finding their home online. 9% of home buyers are finding their home through yard signs. 1% are finding their home in the newspapers. Over all, for sale by owner in Las Vegas is becoming more and more difficult. There are different regulations, different kinds of paperwork Las Vegas home owners will need, paperwork that supports what your Las Vegas home is worth, and other details that you may not know of. 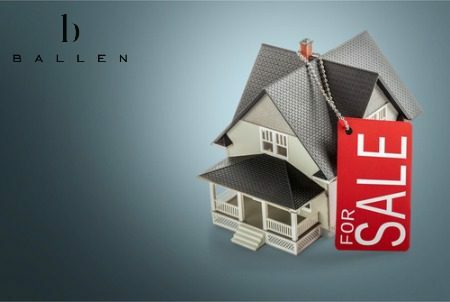 Las Vegas real estate agents at The Ballen Group will make sure everything is taken care of which will help you through the home selling process and will make sure you follow the right processes to help you not get sued in the future. The number of for sale by owner properties has dropped from 19% to 9%. People are not doing this as often anymore as seen by this pretty significant drop. This is due to the fact that real estate agents are generally proven to get your home sold at a price that covers their commission and often puts more money in your pocket. One major thing to consider is that you will net more when you are using a Las Vegas real estate agent. 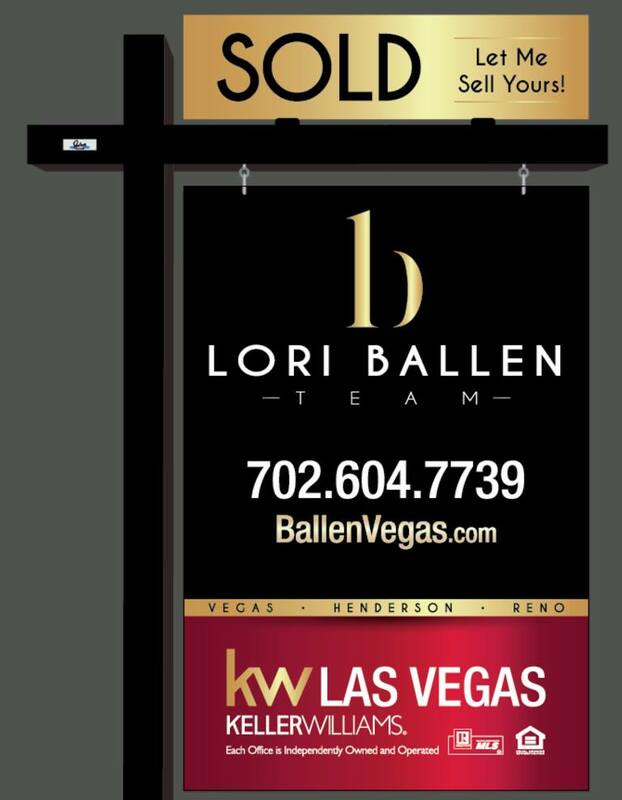 Lori Ballen’s Las Vegas real estate team will get your home the exposure it needs through their internet buyer generation systems. 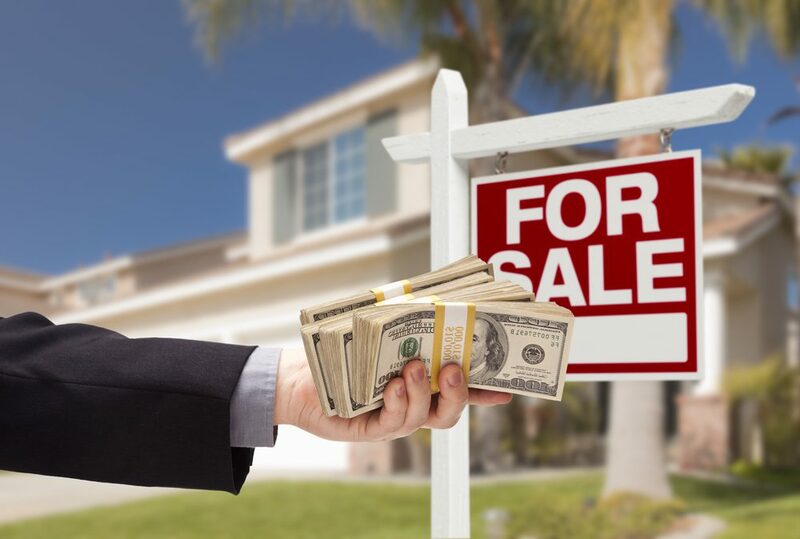 This exposure will help you get a higher price and your Las Vegas real estate agent from Lori Ballen Team will help you get the highest amount of money for your property.